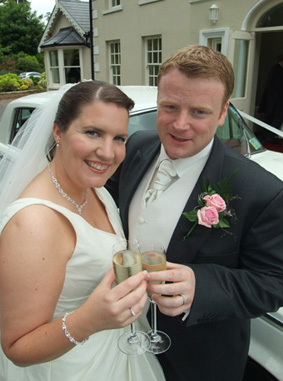 Wedding Videographer for Lynda and Eoin – 17’th June 2011. 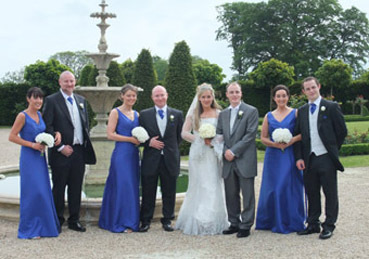 I was the wedding videographer at the wedding of Lynda Punton & Eoin Lynch on Friday the 17th June 2011. I started the day with Lynda and her bridesmaids getting ready in the house. The ceremony was in the church of St Bridgets in Blanchardstown Village and Fr. John Jones met us and was a pleasure to work with, Eoin and the lads were standing in the doorway out of the very heavy rain. The beautiful music in the church was done by none other than Niamh Kavanagh she’s a Eurovision winner and is now part of a band that can play at the reception The Classics. We went to Roganstown Golf & Country Club as it is a lovely location and very well sheltered so John Burke and I had a variety of places to take pictures. After the dinner we were entertained by The Classics Band and yes Niamh Kavanagh was the lead vocalist, they had the crowd rocking from the word go. 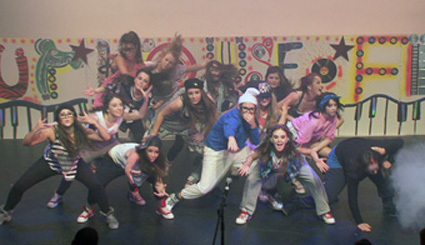 I was the official videographer covering the show of Our House of Fun on Sunday 26’th June 2011, in the Mill Theatre. 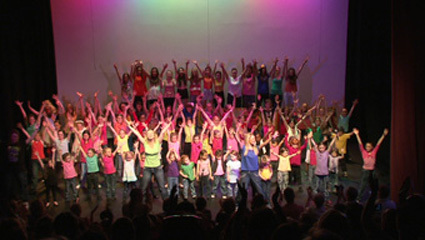 There was well over a hundred kids acting, dancing and generally showed the fruits of their hard work after weeks of rehearsals. 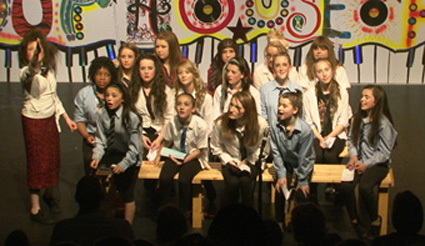 The 6th annual show of Our House of Fun Musical Drama & Dance was a great hit after months of hard work and dedication by all involved in the respected Miss Ali Dance fever Stage School it ran to a full house for three nights. There were many up and coming stars to mention. The show was just fabulous and sorry to all who did not get the chance to see it. 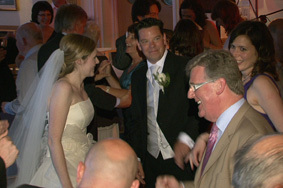 I was the wedding videogarpher at the wedding of Lorraine Ryan & Greg Donovan on Monday the 13th of June 2011. 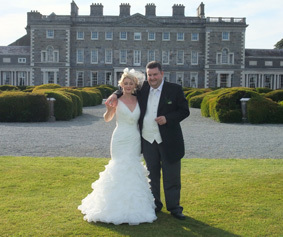 The wedding took place in The Registry office and then we went to the lovely Carton House. 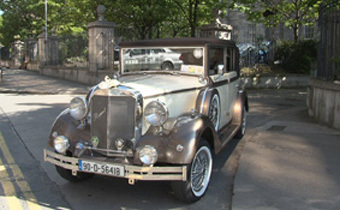 The Car that Lorraine had was a vintage car “The Regent” and from AKP Chauffeur Drive. When we arrived at Carton House we had the lovely old part of the hotel, this was a small family wedding and the room was just perfect for the occasion. 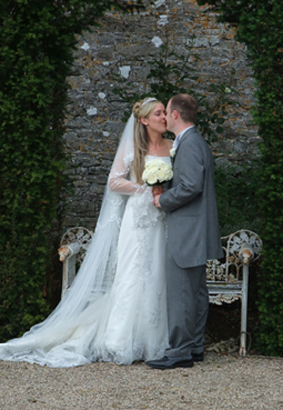 I had the pleasure of filming the wedding of Douglas and Niamh on Friday the 10h of June 2011. I started in St Fintans Church in Sutton, the groom was from Canada as were many of the guests. We had lovely music in the church provided by Sharon Lyons/ and she was accompanied by Deirdre Doyle on the organ. We went to Howth Harbour for a few pictures with Pat Baker the multi award winning photographer, Pat is a master at his craft. The Howth Yacht Club was really lovely, this was only my second wedding there and it is well worth checking out for the adventures water sports type of couple. The Band called Jonnie be Goode were brilliant they had them dancing from the word go. Douglas and Niamh were home from Canada for the wedding and our weather held up and they had a memorable day here in Ireland. 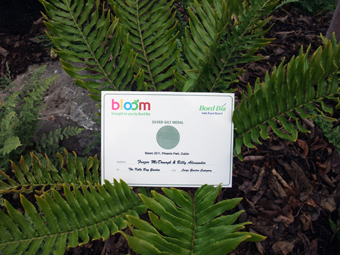 They also were visited by the President of Ireland, Mary Mc Aleese. 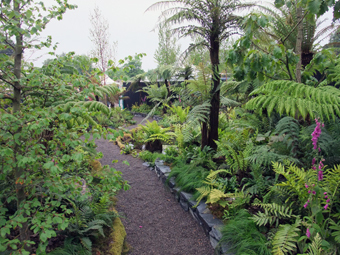 On this occasion they received a silver Gilt but are well on track to getting a gold soon. I had the pleasure of filming Kathryn & Sean’s wedding on Saturday the 4th of June 2011. I started at the church of St Andrew’s in the village of Curragha, in County Meath. Fr. Phil Gaffney was doing the mass and he was a pleasure to deal with. The Floral arrangements in the church were spectacular and were done by Jennifer Murphy and her team from Flowers by Moria. We had lovely music in the church provided by Sonya Grimes. Afterwards we went for pictures in the wonderful Killen Castle with Laura Faherty the photographer, there gardens are beautiful Laura Faherty is a new photographer that I have only had the pleasure of working with this year and she is very pleasant and accommodating. When we arrived at the Marriot in Ashbourne we were met by Georgina, and as always she did a great job looking after the bride and groom, I have worked with her in her previous job in Clontarf Castle and she always does a great job. 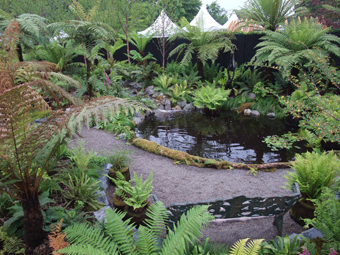 We had a great day and the evening started with a Chocolate Fountain by Seaclaid. The Band called the lolls from Moate were brilliant and they had them dancing from the word go.